A UNIFIL Estonian peacekeeper demonstrates how to detect IEDs to LAF soldiers during a joint training. The capacity of both the LAF and the UNIFIL peacekeepers is enhanced through joint training such as this. Two LAF soldiers carefully check the ground for IEDs on the joint training with UNIFIL Estonian peacekeepers. A LAF soldier marks an IED-free area during a joint IED training with UNIFIL peacekeepers from Estonia. The soldiers from the Lebanese Armed Forces (LAF) watch intently as a small unit of UNIFIL Estonian peacekeepers demonstrates the systematic technique to scan for improvised explosive devices (IEDs) while on patrol. The peacekeepers carefully scan the perimeter of a parked vehicle using metal detectors, and use spray-paint to mark the cleared area. Following this the LAF soldiers repeat the exercise. 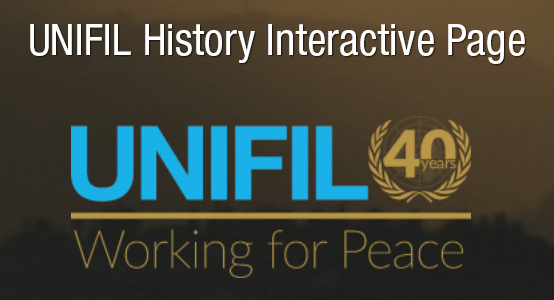 In 2006, the United Nations Security Council adopted Resolution 1701, which forms the core of UNIFIL’s mandate, to foster peace and stability in south Lebanon. One of the key aspects of this resolution is that the UN Mission supports the operations of the LAF in south Lebanon. The capacity of both the LAF and the UNIFIL peacekeepers is enhanced through joint training such as this.